I believe this is the the same kind of mushroom that Tom posted about here. This entry was posted in fungi. Bookmark the permalink. 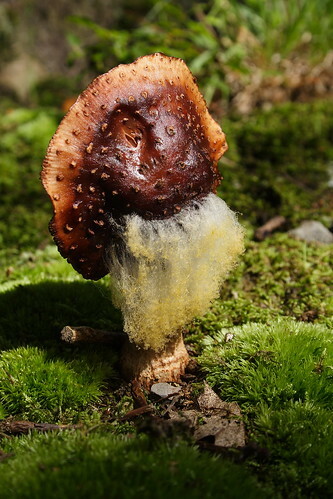 What an incredible shroom that one is! Looks like it grows in very good company, too! That is different! I love the green lush growth around the mushroom. 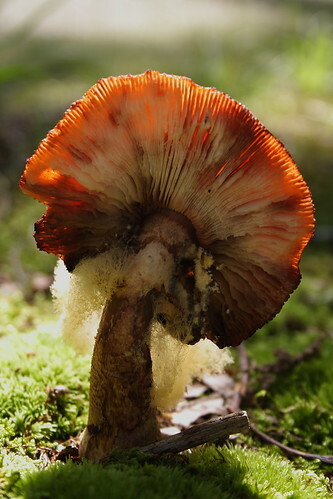 You take great pictures of mushrooms!